Guys want to be him, ladies want to be on him. 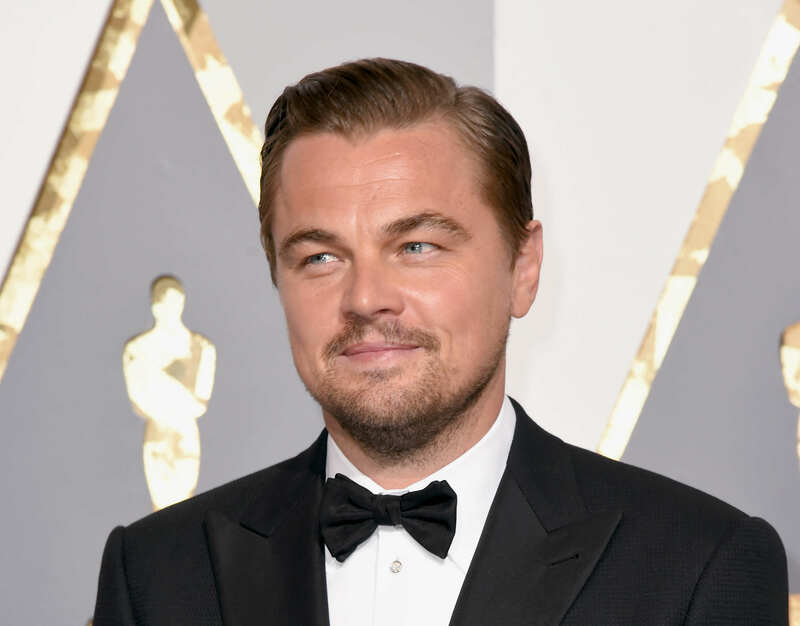 He’s one of today’s greatest actors – but what’s it like to actually hang out with Oscar-winner (finally) Leonardo DiCaprio? Well, his former assistant spoke to the Huffington Post about it. And it sounds like a pretty great gig. Aspiring actress Kasi Brown worked alongside the international ladies man, and she got the job purely through chance. How do you land such a cushy job, you ask? Well, like most Hollywood jobs, it’s all in who you know. Kasi’s friend – the similarly named Kayce Brown – was working with Leo through the filming of Catch Me If You Can in 2002, and when filming for The Aviator began, Kasi flew over to hang out with Kayce and her superstar boss. When filming moved to LA later on, and Leo was hiring a personal assistant, Kasi had it in the bag and became Leo’s right hand woman. Talk about easy networking! And, after all those long days and nights working side by side, Kasi inevitably learned a lot about him, like that Halloween is his favourite holiday, apparently. He’s extremely down to earth, and he likes to share stories and life experiences with people. Sometimes, I would pretend that he was the stereotype of an entitled celebrity and when he would ask me to do something, I would bow and in a beaten-down voice say, ‘Yes, sir, anything you like sir, anything else, sir?’ and he would laugh and tell me to knock it off. She added that he was very smart, had a wicked sense of humour, and knew quite a bit about ‘politics, pop, culture, history, you name it’. No diva moments here, then. Kasi even got to play a part next to Leo, snatching up the role of his off-screen ghost-mother when the original actress was unable to make it. All in all, he sounds like a standup guy. 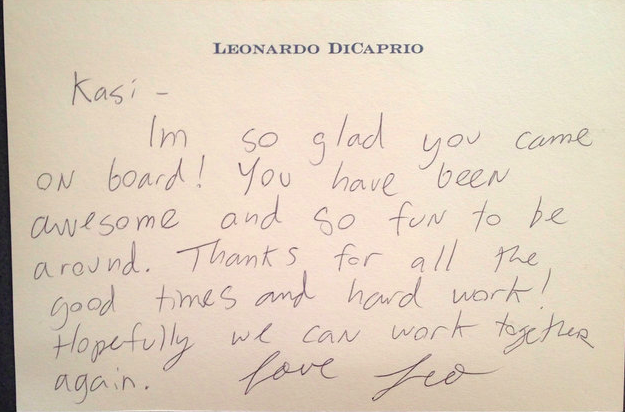 My résumé is ready when you are, Leo.